Rate this Article Team composition plays a big factor in victory but some heroes are just easier to level up and naturally has bigger potential. Hero Wars is definitely one of the best party-based MMORPGs. 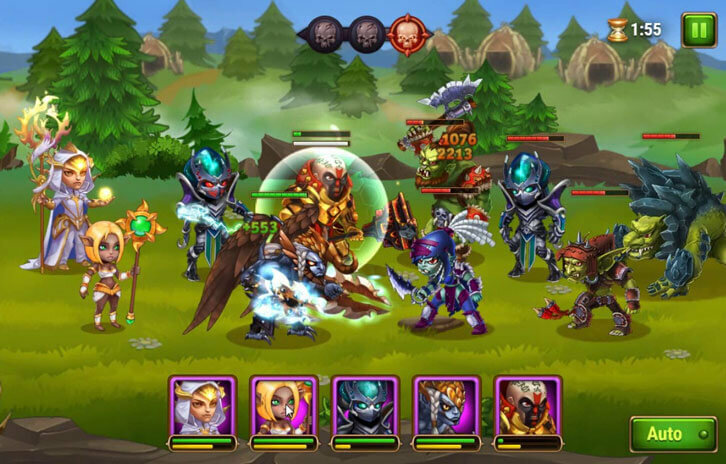 You have to collect Heroes then upgrade and give them stronger equipment to make them more effective in battle. But some Heroes are just created stronger than others. They all have different max stats and unique abilities that can make a big difference in battle. The decision of which ones to place in your party may be a daunting task but here is a list of heroes that shine above the rest. This list aims to guide players on what to aim for as these are heroes that perform well in most player’s experience. We hope this guide will be of great help to experienced players and newbies alike. His shards are easy to obtain which makes him a popular choice. His damage becomes extremely strong when he is in his awakened form. He also has good survivability through his insane vamp mixed with the occasional dodge from his 2nd skill. He also has consistent stuns via his 3rd skill. He can be a secondary tank since he may need a bit of support to ensure that he does not go down before his Awakening is triggered. He can be a bit weak against heavy crowd control since this prevents him from getting into melee range to land hits. But he is the strongest melee hero. He can deal incredible and consistent damage while being in the safe midline position. He can be quite effective against tanks since he deals a percentage of their health with his 2nd skill. And he can easily target and quickly burst down the enemy’s backline with his 3rd skill. He also has a high health pool which increases his survivability. His first skill prevents his from dying for 7 seconds and provides him with a good damage boost. He can easily chain together multiple triggers of his first skill that can even burst out heroes with decent healing when coupled with his 4th skill. 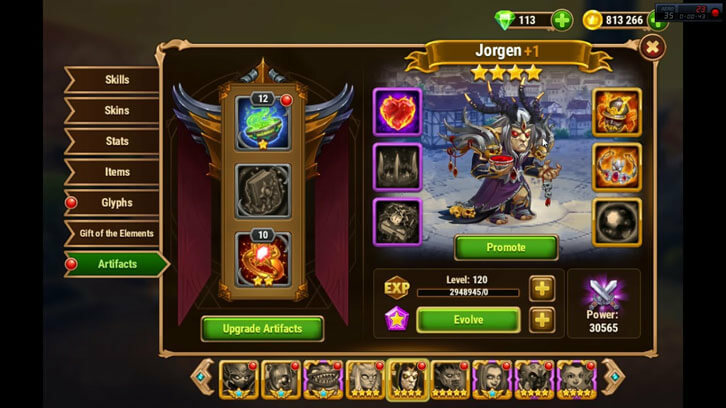 He is another popular hero since it is easy to acquire his shards. He provides amazing utility through supportive shields and energy manipulation. He can increase an ally’s energy generation through his 2nd skill and steam energy with his 4th skill. He can also stop enemies from gaining energy for a period of time with his 1st skill. His 3rd skill marks an enemy which redirects all physical damage taken by the enemy team to the marked victim. Here are some honorable mentions just to give you give you other options. 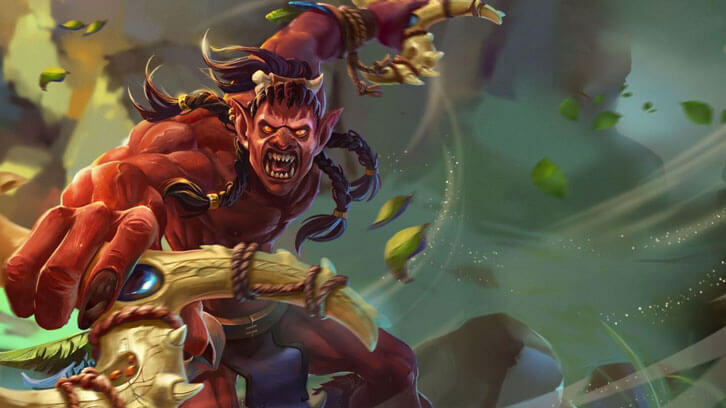 You can count on Cleaver since he naturally has high health pool without needing any skins and he can completely shut down some heroes with his hook. And Nebula is an extremely strong support with a versatile kit that includes healing and damage buffs. A party composed of the best heroes can give you a lot of advantage. But you have to remember that each hero has their own strength and weaknesses. It means you have to make sure that you add other heroes that cover their weaknesses. You might get unlucky and get completely shut down by a particular team composition. But it would be best to try to experiment on some combos and don’t forget to upgrade your heroes to help them reach their full potential. I hope this list helped so good luck in the arena.